MECART studios can accommodate any situation requiring a very high level of audio and reverberation (interior/exterior) control. Soundproof facilities with optimal acoustics are essential in the media and entertainment industry. When sound quality is the issue, industry professionals know what they are talking about. MECART studios, which can be soundproofed from 25 to 70 dB, provide enhanced sound control. You can have a rock group rehearsing in one room and a radio station broadcasting in the next, with neither disturbing the other! Whether you need a studio for recording, dubbing or rehearsal, you can trust MECART’s acoustic performance expertise for the installation of acoustic panels or partition walls between two studios. Our teams handle everything: from designing a custom studio for you to constructing it in our factory and then installing it in your facilities. 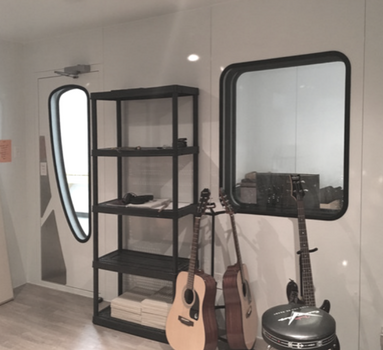 Our custom-designed modular studios can be tailored to a building’s limitations (such as the presence of a column or ceiling beams). Several visibility options use acoustic windows to allow visual contact between two studios without affecting acoustic performance. Fast installation: our prefabricated modular panels are delivered and assembled onsite. 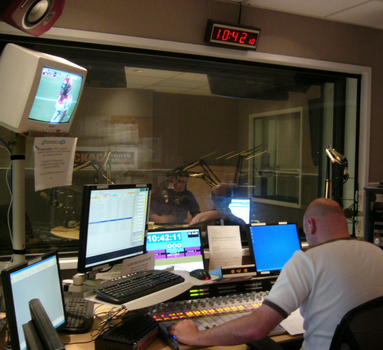 Our studios are considered capital assets: tax savings and financing are available. MECART modular studios can be moved, modified or resold; they are ideal for installation in rented facilities. How are our studios used? 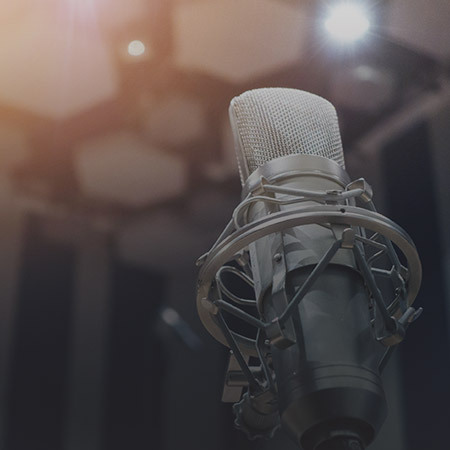 Our customized solutions ensure that recordings are free of any external noise; our studios are perfect for dubbing / post-synchronization, recording (music, podcasting, etc.) and broadcasting. 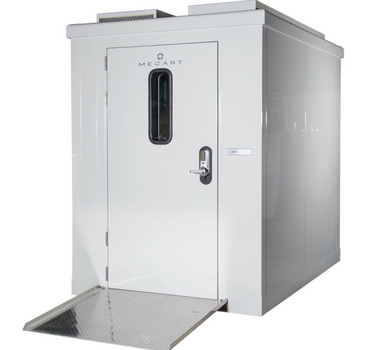 MECART modular rooms can also be engineered as anechoic chambers (or dead rooms), audiometric testing rooms, security/interview rooms and more.